Bone broth is all about extracting gelatin from the bones. Gelatin breaks down into collagen which is a critical building block for our bodies. I credit bone broth alone with the improvements in my skin and digestion. My chiropractor has also noticed a marked improvement in my ability to be adjusted and to hold an adjustment. Bone broth can be as simple or as complicated as you want. The bare bones (Sorry, I couldn’t help myself.) recipe just calls for bones, lemon juice, water and lots of time. I’ve modified this recipe for my needs and I’ve discovered a few gotchas along the way that I’ll share with you. My process takes three days, however the last day is completely optional. Each step in the process is fairly flexible on timing and not too arduous. Straining the stock is the most difficult part of it and that’s not rocket science, just messy! As you know from my earlier posts, I like to cook in bulk whenever possible. I make 2 gallons of bone broth at a time because I have a chest freezer with the space to store it. You can scale down this recipe to work for your family needs and storage capabilities. I know that pastured and organic birds are expensive. Getting every bit of value out of my purchase makes me feel better about the cost. My bones come from previous meals or cooking. I keep a freezer bag in my freezer and add bones whenever I have them. 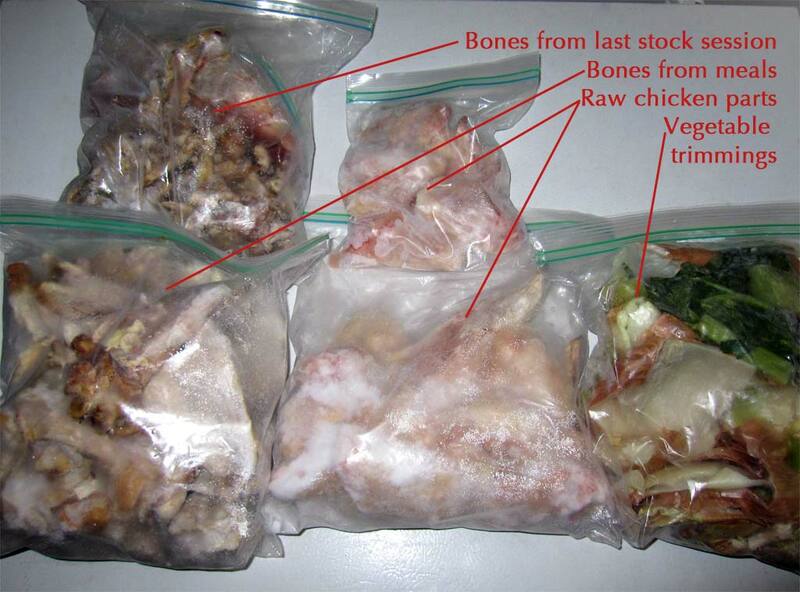 When the freezer is full of bone baggies, it’s usually time to make bone broth. LOL. In order to get gelatin, it’s important that you use a high-quality bird. The more stress the bird is under in life, the less gelatin it has to give to you. Sad but true. Non-GMO pastured chickens are the best, followed by organic grain fed and very last would be conventional chickens. You might get good flavor but little to no gelatin from a conventional chicken. You can still follow this process with a conventional bird but I would recommend supplementing the finished bone broth with powdered kosher beef gelatin from a good source. I cover this in day 3. 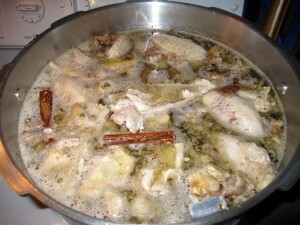 Fill your stock pot almost to the top with a combination bones and raw chicken parts. I have used backs, necks, organs (that little bag inside a whole chicken you buy at the store), wings, and even chicken feet. Fill with filtered water to cover the bones. Add a teaspoon of vinegar or lemon juice per gallon of water. The acid will leach the minerals like calcium out of the bones. Let the pot sit for 30 minutes before turning the heat on. After 30 minutes, turn on the heat and bring the pot to a boil. Skim off any scum that floats on top. 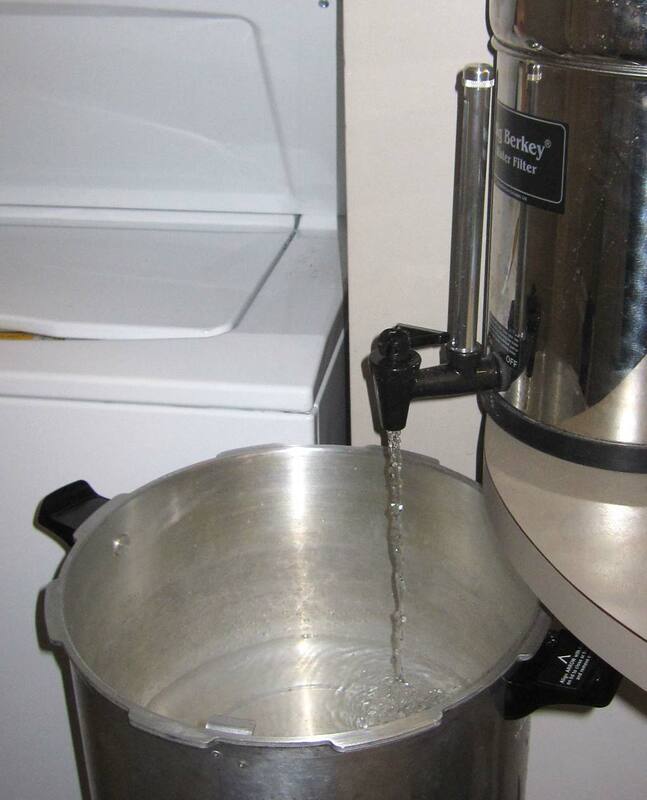 Reduce the heat to the lowest setting and keep at a bare simmer. At this time you can add any spices and vegetables you like. Adding them earlier make the scum skimming more difficult. I use 3 bay leaves, 2 whole cinnamon sticks, 1 tsp crushed white peppercorns, and 1 tbsp crushed whole coriander. I also add onion trimmings (from my batch cooking of onions), celery, a knob of fresh ginger cut into matchsticks, and a whole head of garlic cut in half. Do not use salt in your bone broth or stock making process. It’s better to have the flexibility to determine how much salt to add when using the broth in other recipes. Do not put sweet vegetables or greens in too early. Carrots and fennel will overwhelm the other flavors if added too soon. Greens will turn your broth an unappetizing shade of green. Save those for adding closer to the end of the cooking process. That’s it for day one! Let the pot simmer for 24-36 hours making sure that it doesn’t boil, which will break down the gelatin. Add additional water if necessary to keep the bones covered. If you’re concerned with leaving the pot on overnight, either use a slow cooker or place the covered stock pot in a low oven overnight then put it back on the stove in the morning. I’ll post day 2 tomorrow. Stay tuned! I shared this post with Frugal Friday, Favorite Things, Fabulously Frugal, All Things, Create It, Mountain Woman Rendezvous, Wildcrafting Wednesday, We Did It, Wednesday Whatsits, Cast Party, Wonderful Wednesday, Tutorial Tuesday, Meal Planning Monday, Homestead Barn Hop, Homeacre Hop, Mountain Woman Rendezvous, Hearth & Soul, Tuesday Talent Show, Turn it Up Tuesdays, Tasty Tuesdays, Totally Tasty Tuesdays, Mostly Homemade Monday, Natural Living Monday, Sunday Social, Happiness is Homemade, Simple Saturdays, Gluten Free Friday, Fight Back Friday, Whole Food Fridays, Frugal Ways, Sustainable Ways, Simple Meals Friday, Pennywise Platter, Thriving on Thursday, Full Plate Thursday, Gluten Free Tuesday, Wake Up Wednesday, Wellness Wednesdays, Real Food Wednesdays, Fresh Foods Wednesday, Gluten Free Wednesdays and Allergy Free Wednesdays. 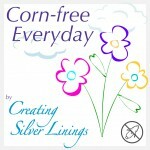 This entry was posted in Recipes, Soups / Stocks and tagged bulk cooking, canning jars, chicken, corn free, dairy free, egg free, gluten free, lemon, onion, refined sugar free. Bookmark the permalink. It’s good advice about adding the green vegetables later on in the cooking. Visiting from Wake Up Wednesday Linky Party. 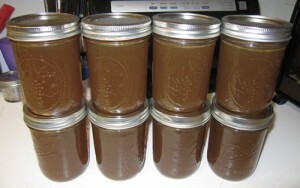 There is nothing like a great bone broth, your recipe looks awesome! Thanks so much for sharing with Full Plate Thursday, it is so nice to have you with us today. Have a great weekend and come back soon! I’m so glad everyone is getting value out of this recipe! Gelatin is so important to our health and vitality. Have a great day! I agree getting every bit of use out of our meat purchases help offset the cost. What a good post. Very informative how-to. 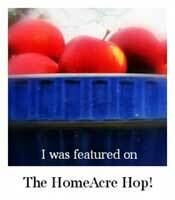 Thanks for sharing with us at The HomeAcre Hop! These are great tips! This is something I’ve been wanting to do for a while, will you be posting about how you store the broth when you’re done making it? You’re in luck! The article is the first of a 3 part series on bone broth. The 3rd day covers storing the broth.